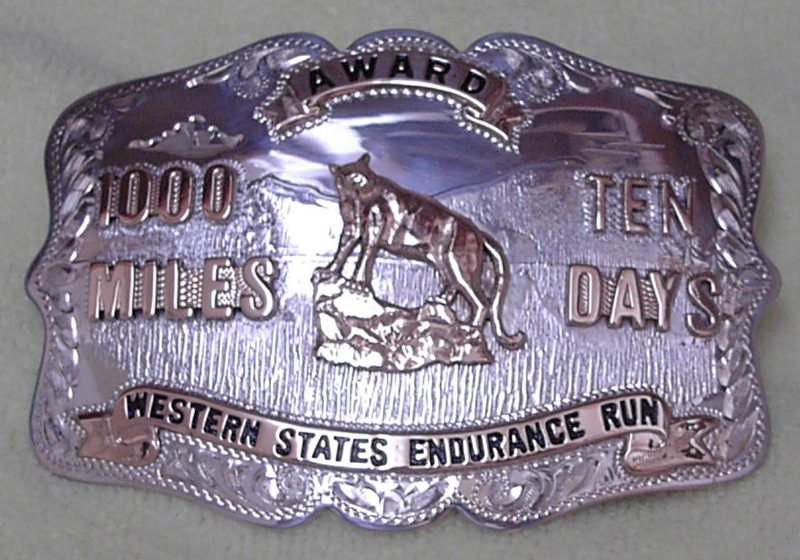 The Western States 1000 Miles/Ten Days buckle has been a dream of many ultrarunners even before Doug Latimer got the first one in 1988. When I started running WS in 2001 it seemed challenging but totally within my control to get one. Train hard, run smart races, get to Auburn under your own power under 24 hours ten times and they’ll give you one at the awards ceremony. 29 more have been given out after Doug got the first one 24 years ago. If you get ten finishes but not all are under 24 hours you can take a 1000 Miles buckle (that does not say Ten Days) or wait until you get ten sub 24-hour finishes and be awarded the Ten Days buckle. 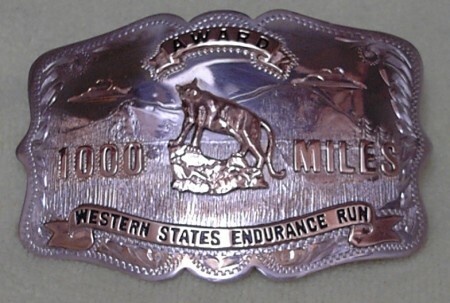 An additional 32 runners have received the 1000 Miles buckle. Back in 2001 it wasn’t very difficult to get into the race. The odds of getting picked in the lottery were over 50%. It’s a different story today. With over 1500 names in the lottery the last few years for the coveted 369 starter spots, the hardest part of getting a Ten Days buckle in the future may indeed be getting ten bib numbers. 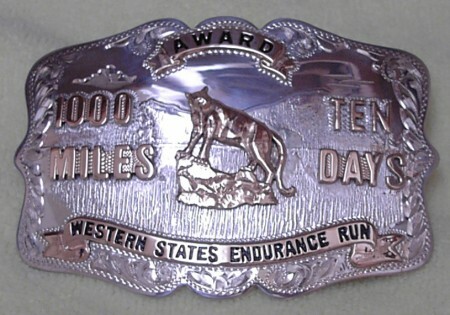 Body willing, I expected to earn my Ten Days buckle in 2013 along with my friend AJW. We, as you may recall, have a ten-year bet to settle – we’re both at eight finishes. But that dream and that bet will have to be deferred until after I retire as RD. Can I come back and do my last two in my 60s? I expect that the mind will be willing and hopefully the body will be too. Can I figure out how to run while also being race director? Regardless, I guess I’ll start fresh in 2014 and try to get a Ten Years RD buckle in 2023. Only two of those have been given out and I got the inside track at the quest for the third. Maybe in 2025 I can be the first to get both a Ten Years finisher buckle and Ten Years RD buckle? Here are the 30 runners who have earned 1000 Miles/Ten Days buckles. A few runners have even gone on to earn 2000 Miles buckles (Twiet, Gordy, Dan, and Mike). There are five people in this year’s race going for their tenth finish: Jerry Bloom, Michael Huss, Bruce Labelle, Luanne Park, and WSER President John Trent. Only Bruce has nine finishes under 24 hours. Interestingly, he got his first silver buckle in 1982! That’s when I graduated from high school. It will be the longest span between buckles number one and ten. Good luck to Bruce and the others going for number ten. 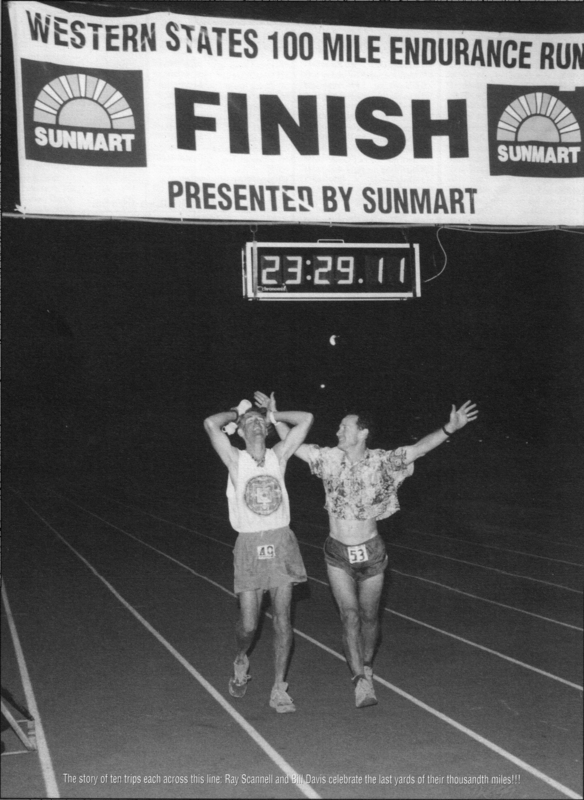 It would be pretty cool if AJW deferred his dream to get ten so we could finish together like Ray Scannell and Bill Davis did in 1999. This picture is loaded with emotions. We could do the same, AJW. What do you think? That’s some pretty cool stuff right there Craig!! That picture of Billy Davis and Ray Bob is just about the best WS photo ever!! When I saw this post I initially wanted to just go to bed and forget about it. So I tried that. But, when I was brushing my teeth, I was looking at the Scannell/Davis photo from the finish of WS 1999 that I’ve had taped to my bathroom mirror for eight years (actually, three different bathroom mirrors, but that’s another story) and so I opened my computer back up and posted something on Facebook and proceeded to get ready for bed. Once again, I was called back to the computer, this time because I remembered the first time I saw that photo. I had run exactly 5 ultras and ZERO 100’s at that time and yet I felt the tug. The photo spoke to me, loudly, emotionally, spiritually. 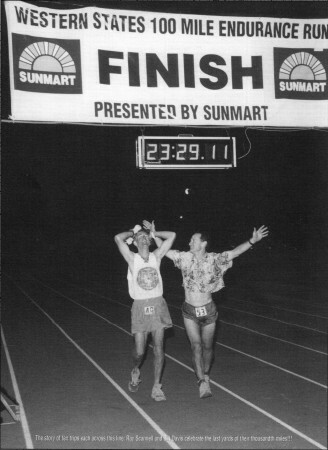 Not just because it was an amazing feat to run this race ten times but that it was also an incredibly human and deeply meaningful experience for these two guys to share this finality together. And so, here I am typing this comment. Truth is, I want badly to be on that list with the other 30 1000 Mile/10 Day People. I know most of them personally and they are all incredible runners but more importantly, they are incredible people. I want my buckle not because I think I am like them but because I want to be like them. I am an aspirational guy and this means something (at least to the 10 or 15 of us who care). And, I only have eight finishes. So do you. I’ll admit it, I thought I had a nice, neat tidy plan to get my 9th in 2012 (not even caring about top-10 because I wouldn’t need to) and then my 10th in 2013. Heck, I was even thinking of adding up all the other times and giving myself second place (after Twiet, of course, in my own, invented, competition) and then, sailing off into the sunset. Now, thanks to you and your damn new job, I don’t know what to do. But, if we do ever get to do this, I have some great Hawaiian shirts, you’ll need to provide the shorts. I hope you two run it together – what an event for those of us following. 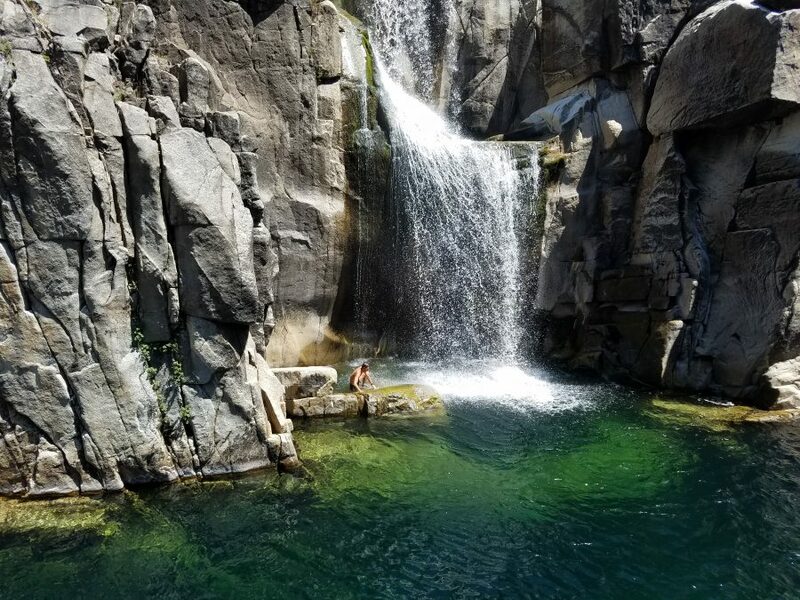 I will be a first timer this summer, being more of an ultra road runner, but am super excited to be part of it, even if it means falling a million times 🙂 Good luck with your quest – can’t wait to see you do it! Craig-maybe the solution with your RD commitment is to have AJW get his 20th when you get your 10th + 10 years of being the man. I somehow can’t see him staying away from the starting line for that long! That’s a good idea, Aztek. Man, I’d be tempted to fly back to the states just to see Bruce get his 10-year buckle. To says he’s a phenomenal runner is an understatement – he’s a pure runner. 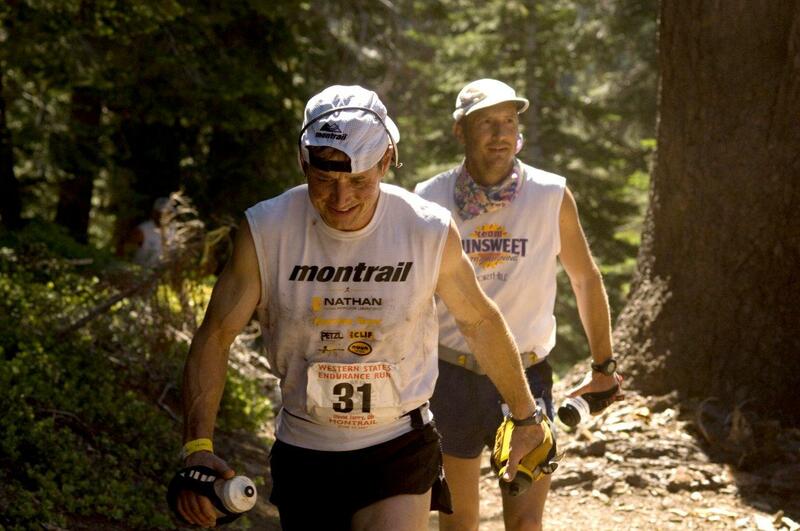 Perhaps the most gifted pure runner I have had the pleasure of sharing the trail with. This will be a wonderful way to recognise his 30+ year commitment to the race. only 1 female has that 10day buckle? ann trason only? Bjorg Austrheim-Smith was the first female to get one in 1990. Ann was the second. That was a great post Craig! Well Done! You never know what might happen over the course of several years. Perhaps AJW should get his while the gettin is good and then be there to run your 10th with you. Logistics question … do all ten finishes have to be under 24 hours or does the sum of them have to be under 240? In other words, do you not get the “ten days” buckle if one of your ten is a 24:01 but you have 9 others at 23 hours? George, all of them have to be sub-24 hours. AJW could also pace you on your 10th, and that’d be a celebration on its own too. Olga’s idea seems to be the most practical. Good luck in completing your quest, Craig.